Arusha, the city of Tanzania is full of natural beauty and attracts a lot of nature loving visitors. 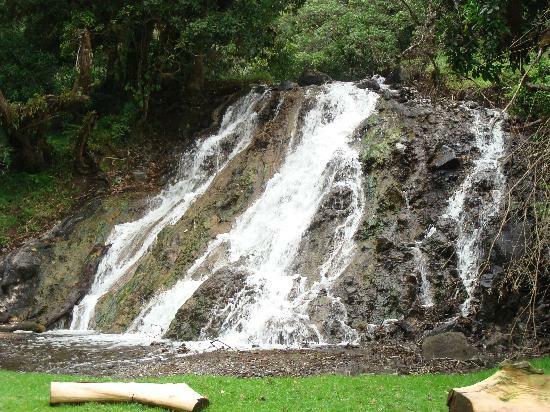 It is home to many beautiful landscapes and a well known wild life park, the Arusha national park. The beautiful Mount Meru is sitauted near the gorgeous city of Arusha. Some other attracting places like Lake Manyara, Mount Kilimanjaro, Tarangire National Park and Ngorongoro are situated nearby. It is a beautiful place to have some holidays here with your family. Arusha is a good place to have adventure by going on a trip to Mount Meru. Many safari parks are near and you can get a close look to African wild life. Arusha National Park is small but has a rich variety of wildlife. Many animals and species of water birds add charm to the Arusha National Park. There are lot of beautiful worship places in Arusha like mosques and churches showing the Glory of God. The Arusha Declaration Monument, the largest mosque in Arusha and St. Theresia Catholic Church are the most visiting places of worship. There are many beautiful and grand shoping malls with the good quality and reasonable consumer merchandize. There are outlets for jewellery including gold and diamonds, and the famous Tanzanite, copper and glassware, belly dancing costumes, chess sets and colorful-wrap-skirts known as Kikoys. Street hawkers also take advantage of a traffic jam to seek buyers for cotton handkerchiefs, khangas, radios or a million other goods, even nail cutters and lipsticks, at bargain prices. Most common food of Arusha is the local chicken and potatoes which are tasty and available at cheap prices. Refreshments are usually offered on board tourist vehicles. Arusha has large number of hotels that provide finest hospitality and meet all needs of tourists. These hotels suit the budget of all travellers. So you should waste no time and book cheap Hotels in Arusha. Some hotels in Arusha are Mountain Village Arusha Tanzania, Arusha Crown Hotel Tanzania, and The Arusha Hotel Tanzania. Their rates starts from US$ 60. So have a visit to the Arusha and enjoy its natural beauty and wild life. Arusha is the Gateway to the famous tourist attraction features in Tanzania.